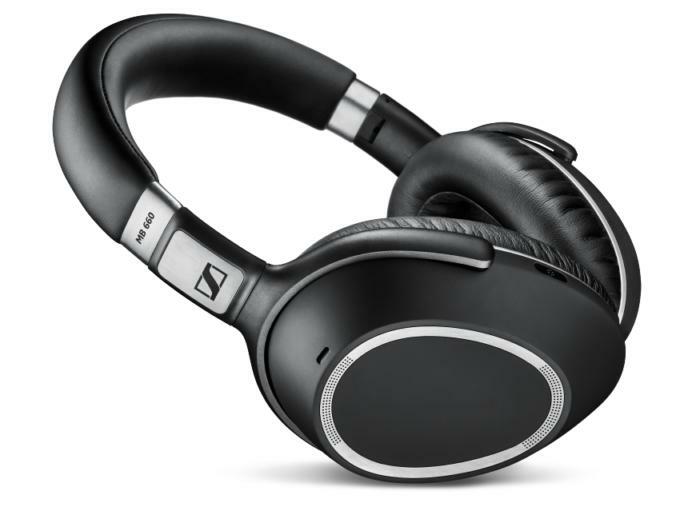 The Sennheiser MB 660 UC and Plantronics BackBeat Pro 2 headphones let you listen to music, check out videos and listen to conference calls without disturbing co-workers. I tried out two recently released Bluetooth headphones by well-known audio vendors: the Sennheiser MB 660 UC, which costs $445 (Amazon price) and the Plantronics BackBeat Pro 2, priced at $200 (Amazon price). Both offer all the features that today's business users are looking for -- wireless connectivity, portability, good sound and active noise cancellation (ANC). However, they differ in a variety of ways, not least in their approach to how you control the features and how much you pay for them. Sennheiser is well known by audiophiles for the quality of its products. 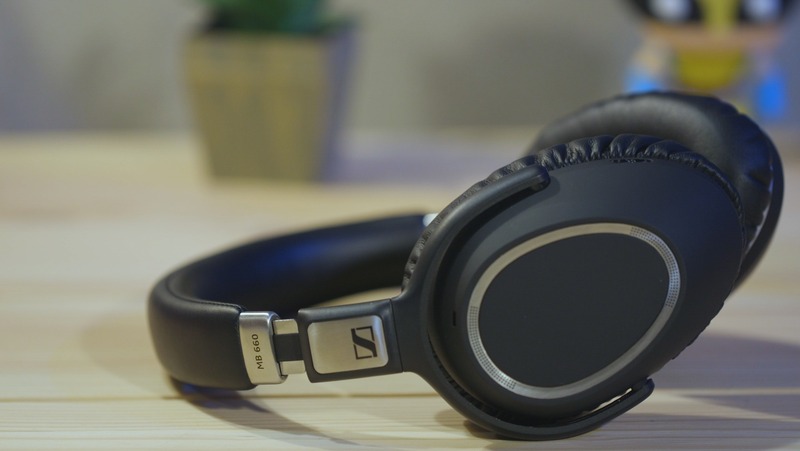 The Sennheiser MB 660 UC headphones include a wealth of options for those who want to be able to listen to their music -- or take their calls -- without interruption from the outside world. It's obvious from the outset that the Sennheiser headphones mean business -- both figuratively and literally. They come in a hard case, which will certainly keep them safe (but will also add to the weight when you're traveling). Inside the case, besides the headphones themselves, are an audio cable; a micro-USB power cable; and a USB dongle for communication with laptops that aren't equipped with Bluetooth. The headphones were quite comfortable (although a bit snug) on my head, with padding on both the ear cups and on the metal headband. All controls are on the right ear cup, consisting of a touch pad (which is used for most active sound controls), and two tiny control switches, one that deals with different sound modes and one that handles Sennheiser's NoiseGard active noise cancellation (more on both of those later). You turn the headphones on and off by twisting the ear cups from a flat position to one in which they're facing each other (in other words, from storage position to wearing position). A pleasant female voice lets you know that the device is powered on or off, and alerts you to other changes you make (such as changing the sound mode). Unlike some other headphones in this price range, the Senheisers don't automatically pause or play when you take them off your head. The headphones use a touch surface on the right ear cup to let you adjust the volume, fast forward or go back, pause or resume. While I found the use of a featureless touch surface interesting, I tend to prefer controls that I can immediately identify by feel (such as buttons or raised symbols) rather than a touchpad-like interface. The noise cancellation feature uses four microphones, two with openings to the outside of the headset and two inside the headset. You can choose to turn it on or off, or you can put it in adaptive mode, which automatically adjusts the noise cancellation depending on how loud things get around you. (You can also manually adjust it using Sennheiser's CapTune app.) Since I don't work in an open office situation, II tried it by playing a news feed while using the headphones to listen to quiet music; to tell you the truth, I was unable to tell the difference between the three modes. The CapTune app also allows you to adjust its sound modes (which it calls Effect Modes) for different types of audio: Club, Movie, Speech or Off. (If you prefer, you can cycle through them via a button on the right ear cup, which is a lot slower.) You can also adjust the audio prompts -- you can change the language, or opt for tones only, or turn them off altogether. And you can adjust the equalization (EQ)Â using either one of several pre-programmed specifications (Pop, Rock, Hip Hop, Classical, Voice, etc.) or by creating your own custom setting. The SoundCheck feature also lets you adjust for things like boost, spatial or reverb or DLC, either by using (again) preprogrammed specs (Club, Movie or Speech) or by using the Director mode, which starts with all those effects turned off and gives you options to adjust each. What with the sound modes and the NoiseGard noise cancellation settings, it took me a bit of experimentation to find the settings that were most appropriate. And even then, things could be a bit confusing; for example, I found that having the headphones switched to Speech mode improved the sound during a phone call -- but the Effects Modes button doesn't work during a call, so it is really only practical when you can make the switch before an outgoing call. The Sennheiser MB 660 UC sells for about $445. Plantronics, another well-known audio brand, tends to go for the middle-level audio fans -- those who may be less knowledgeable about sound, but who still want a good pair of earphones for the office or home. 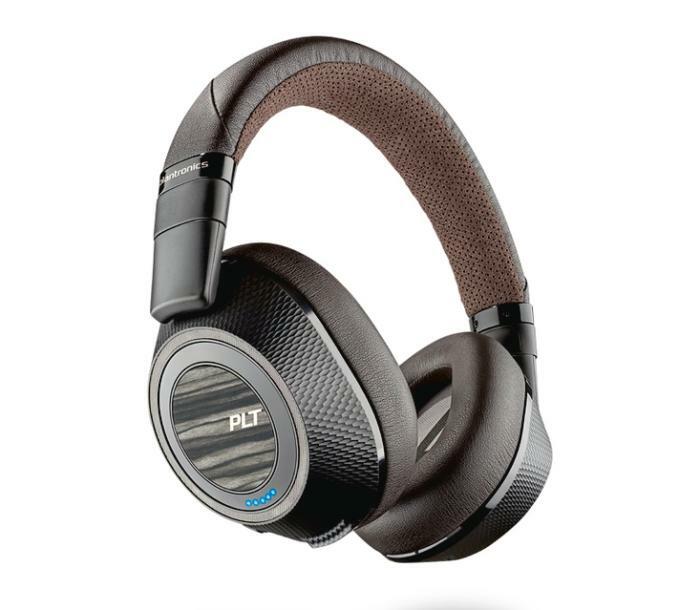 The Plantronics BackBeat Pro 2, the latest version in the company's BackBeat line of headphones and earbuds, are a nice-looking, with comfortable padded earpieces and a padded headband; they are slightly smaller and lighter than the previous model. One thing I've noticed about Plantronics products is that they tend to emphasize ease of use, and the BackBeat Pro 2 is no different -- starting with the large "R" and "L" lettering inside the ear cups so you know which goes over what ear. The left ear cup has the audio controls on the outside; a button in the center pauses and plays, buttons to the left and right of that let you fast forward or rewind. A rotating ring on the edge of the cup controls the volume. A small three-way switch sets the active noise cancellation control to on, off, or pass-through (allowing audio from outside to pass through the cups). The right ear cup has the micro-USB port for power and an audio port if you want to connect the headset physically (cables are included for both), the power switch and a mute switch. A series of LEDs lets you know the battery strength (when you start up, a voice will also let you know the battery strength and connection status). The right cup is also used to answer/end calls by a single press to the outside -- since many headphones use the same button for play/pause and to answer calls, I found this a bit confusing at first, but got used to it pretty quickly. Unlike the Sennheisers, the BackBeat Pro 2 will pause your music if you take the headphones off; calls will also move back to your phone, which is really convenient. You do, however, have to use the power switch if you want to shut the headphones completely off. Plantronics' app is called the Plantronics Hub; unlike Sennheiser's CapTune, the emphasis here is on information rather than sound. The Hub tells you how much talk time you have left and whether the headphones are on or off your ear; otherwise, you can access help on how to use the headphones and even make them issue a sound so you can find them. Plantronics includes a soft cloth bag for storage; a separate pocket in the bag holds the cables and instruction booklet. The Plantronics BackBeat Pro 2 sells for about $200. Unless you're an audiophile, you're not going to find all that much difference between the two headphones -- although if you are one, there is a difference. I used both to listen to a variety of music, including a light pop female vocal, a folk/jazz instrumental set, an orchestral overture to a Broadway musical, a classical choral piece and a rock song. On the whole, the Sennheisers were cleaner and had a fuller bass -- at least part of which was, I'm sure, due to the fact that I was able to tweak the highs and lows via the CapTune app. That being said, the Plantronics were definitely not bad at all, and for day-to-day use, most users should be satisfied with them. As far as phone calls were concerned, when I tried the Sennheisers, the voice of my caller sounded a bit tinny, but there were no breaks or any of the distortions that you get on lesser headsets. My caller reported that, on her end, the Sennheisers sounded a bit gravelly and digital (but, again, with no glitches or distortions). When I tested the Plantronics headphones, the sound at my end was about the same as the Sennheisers, but my caller reported that my voice came through quite clearly and had brighter, more realistic sound. To be honest, I have yet to find a pair of full over-the-ear headsets that don't feel heavy to me after a relatively short time; I prefer lighter-weight on-the-ear models such as Plantronics' BackBeat Sense, which costs a little over $150 (Amazon price). However, that would not be helpful for those who need to block out a noisy environment -- in that case, over-the-ear devices are practically a necessity. I found the Sennheisers a little lighter to wear in the long haul, although again, this was a subtle difference and both headphones were pretty comfortable. Neither of these shone as far as the active noise cancellation is concerned; while the technology did muffle outside noises to a considerable extent, it wasn't quite the soundproofing that I expected. The electronic pass-through sounds rather, well, electronic; quite frankly, I think that simply slipping one of the ear cups off your ear to hear what's going on would be just as easy and much more effective. That being said, for those who work in an open office situation or other distracting environment, or spend a lot of time on airplanes, either of these devices could make things a lot pleasanter. If your music is important to you, and you can afford the approximately $445 price, I'd go for the Sennheiser MB 660 UC headphones; they are comfortable to wear, have a great many good business features (including a hard case and a dongle for non-Bluetooth computers) and offer excellent sound. On the other hand, if you spend a lot of time on the phone or simply want a good pair of reasonably priced headphones for day-to-day use, the Plantronics BackBeat Pro 2 should suit just fine for less than half the price.